The most important tool for a graphic designer is Photoshop and, while most people know their way around it, in a Digital Imaging course you learn how to use it correctly. That means non-destructive editing, proper layer organization and decent clipping skills. 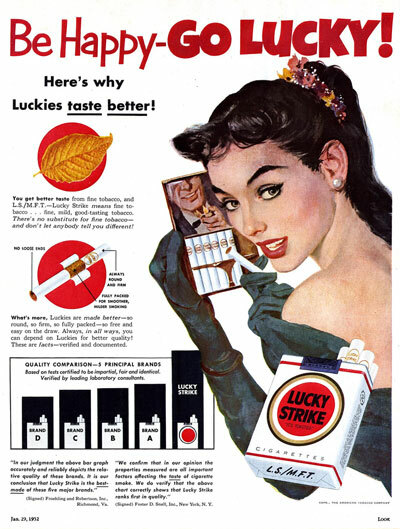 One of the projects in that course was to take a print advertisement and integrate a visual pun into it. 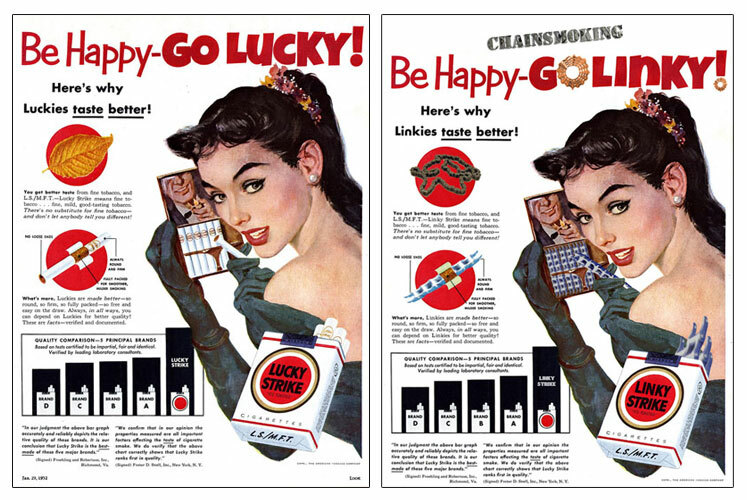 I found this pretty sweet old Lucky Strikes ad, from the January 29, 1952 issue of Look magazine, and decided to do something literal with the term chain smoking. 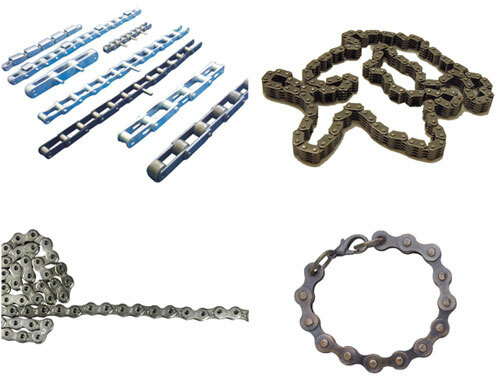 The next step was to find various chains that I could work with.